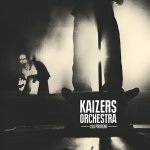 The DVD/BluRay of the last Kaizers concert on September 14, 2013, in Stavanger - uncut and unaltered, thus exactly how the concert took place. As a bonus, the DVD/BluRay will contain the TV Vest documentary "Siste Dans". 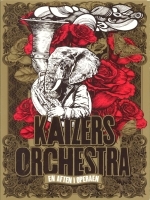 It can be ordered via kaizers.no. The box contains the LPs of the three Violeta albums, plus a 7'' single with the songs "Stjerner i posisjon" and "Cecilia I. Velur", which didn't make the Vol. III album. Finally, the box contains a 152-page photo book with pictures and text by Arne Bru Haug and Geir Zahl. This DVD/Blu-Ray was recorded live at one of the concerts in the Norwegian Opera House in Oslo, on January 26, 2013. 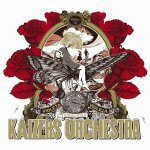 Kaizers play together with a symphonic orchestra and a choir! The project was financed by crowd funding, which means that there are different versions of the DVD/Blu-Ray: a special edition for those who preordered it, including a special cover and signatures of the band (released in October 2013), and a "normal" version that will hit the stores on December 9. The third and last part of the Violeta trilogy is released in Norway on November 2, 2012 and in other countries on February 15, 2013. Vol. III, a "Gypsy musical in the rock genre", was composed for symphonic orchestra. It celebrates its live premiere with a week of concerts at Oslo Opera in January 2013. The first single Aldri vodka, Violeta was released on September 19 as part of the mobile app "The Kaizervirus". 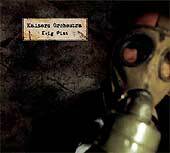 As usual, there is a limited Digipak edition of the CD. 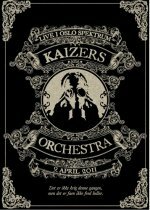 The second official Kaizers Orchestra live DVD (the titel is not known yet) was recorded at the concert at Oslo Spektrum on April 9, 2011. The DVD was released in Norway on November 11, 2011. Currently, a release in other countries is not planned. There are some bonus features; namely a tour documentary and a slide show with pictures from the concert. 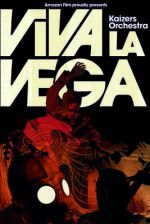 The second record of the Violeta Violeta trilogy was be released in Norway November 11, 2011, and on January 20, 2012 abroad. Just like for Vol. I, there was a limited digipack edition of the album. In contrast to Vol. I, the third part of the Violeta trilogy is based more on rock music and guitars. The first single, Tusen dråper regn, was released on May 31, 2011; the second single, Drøm videre Violeta, followed on September 23. 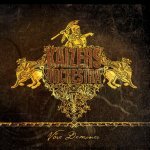 Kaizers Orchestra played the whole album live for the first time at Øya festival in Oslo on August 11, 2011 (stream of the concert). 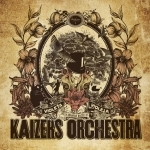 This album is the first part of Kaizers Orchestra's trilogy "Violeta, Violeta". It was recorded and mixed in the spring of 2010 at Duper Studio in Bergen, together with Jørgen Træen and Yngve Sætre. The first single "Philemon Arthur & The Dung" was released in August 2010. The second single "Hjerteknuser" followed in late October, after a huge cover competition. The album was released in ten countries on January 28th or 31st (depending on the country). You can find an explanation about the story of the trilogy here. 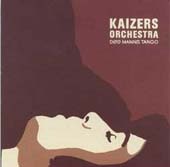 From the album booklet: "These are new recordings of old Kaizer songs. These songs didn't make it on our albums because we thought that they 1. didn't fit in 2. weren't really finished 3. didn't represent what we from a musical point of view wanted to stand for when they were made." The album was sold for one week only, namely between April 27 and May 2, 2009. The digital version contained a bonus track, namely a demo version of "Under månen". 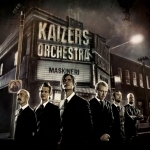 Just before Kaizers went on tour again in the fall, they released the live album "250 prosent". It contains live recordings from the Maskineri tour, recorded in Germany, Austria and Switzerland. Ten songs are included, recorded at five different concerts. The album is available as vinyl and download only. 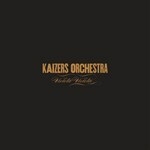 Kaizers Orchestra's fourth album was released in Norway on February 18, 2008. Germany had to wait until April 4. Maskineri was recorded at Planet Roc Studios in Berlin, with producer Mark Howard. The Canadian had heard about Kaizers via Tom Waits' Amazon-recommendation list and then MySpace, and so he ended up producing their next album. The first single from Maskineri was "Enden av November". In addition to the songs on the CD, the vinyl version contained the song "Romantisk salme i F-dur". The iTunes version contained the bonus track "Du og meg Lou". 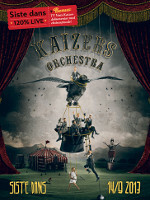 The first Kaizers-DVD contains the video of the concert at Vega in Kopenhagen (Oct. 6, 2005), documentaries about the European tour, the Prekestol-concert and the recordings of the album, plus music videos and picture galleries. The DVD was released in Europe in the middle of April, but in Norway the release was delayed because of technical problems until the end of May. 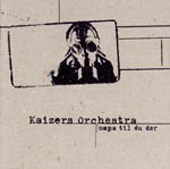 A double album, recorded during the concert at Vega in Copenhagen on Oct. 6, 2005. The album contains the same songs as the DVD, but without the talk inbetween. 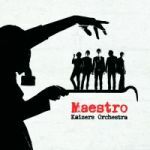 The first single from "Maestro", which is the title song "Maestro", is coming out in Norway July 4 and in Germany July 25 August 1. The new album was recorded in February/March of 2005, and is scheduled to be released on August 15 both in Norway and Europe. According to some statements, the record will be happier and more up-tempo than the much "darker" Evig Pint. The Special Edition of the Maestro album contains, additionally to the "ordinary" Maestro CD, a second CD with three previously unreleased songs and the videos of Maestro and Knekker deg tils sist. The special edition has only been released in Norway. This live CD that was sold exclusively at concert was recorded at Rockefeller in Oslo on February 27, 2004. This maxi-CD has not been released in Germany. 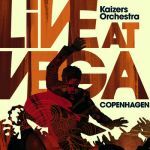 Bøn fra helvete, Død manns tango, and Mr. Kaizer, hans Constanze og meg are live versions. This maxi-CD has not been released in Germany. However, it is enclosed in the "special edition" of the album "Ompa til du dør". 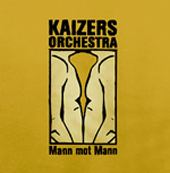 The German version additionally contains the two songs "Død manns tango" as 4th and "Mann mot mann" as 9th song. Those songs are not included in the Norwegian version of the CD.